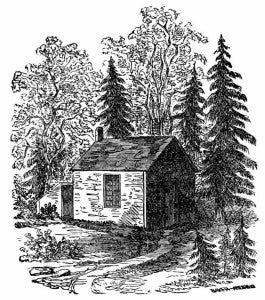 Today is National Log Cabin Day—a reminder of a simpler time when life wasn’t so media-saturated or web-centric. This is a day that encourages people to get away from the incessant beeps and boops of our household appliances and electronic devices and embrace a simpler existence. People have been promoting a simpler lifestyle since our cities grew tall and heavily populated. Here are a few examples of historical figures who sought out a quieter life. 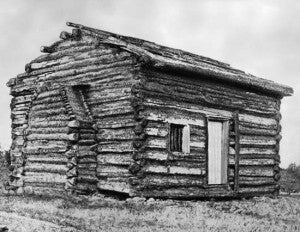 Our nation’s 16th president was born and raised in a log cabin. Though his family moved around a lot, they went from log cabin to log cabin for nearly the first two decades of Abe’s life. You can get a much more detailed account of Lincoln’s travel from home to home with his family right here. Abraham Lincoln and Henry David Thoreau lived around the same time—born within the same eight years, their lives span ned decades and decades of the 1800s. Born a few years after the death of Thoreau, Aldo Leopold carried on the conservationist torch. As cities grew bigger and denser, Leopold recognized that it was not the lifestyle for him. Instead of accepting societal life, he took his wife and five children to the wilderness of Madison, WI and built a cabin. Log cabins that Lincoln or Thoreau ever lived in are no longer standing, but you can still visit the cabin that squeezed a family of seven in the 1930s. 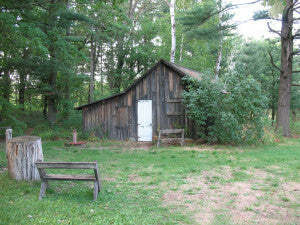 I’ve been inside Mr. Leopold’s cabin which is an unforgettable experience. Set up your own visit with the Aldo Leopold Foundation and check out his famous writings in ‘A Sand County Almanac’ which covers humankind and our relationship with nature. Maybe you’ll get to enjoy life in a log cabin throughout your stay at summer camp! And as always, thanks for reading.